is to partner with youth, parents, law enforcement, community leaders, and citizens of this county and empower them to bring about the change necessary to protect our youth, our families, and our future. is to prevent, reduce, and/or delay substance use among youth of Atlantic County in a long term and sustainable manner. This toolkit provides key information to school administrators and communities to support best practices for student athletes in an effort to reduce the use and misuse of prescription opioids among this high risk population. student athletes and to provide evidence-based recommendations and information that will encourage and promote policy and practice changes that will strengthen schools, athletic departments and community based athletic programs. To view toolkit download file below. 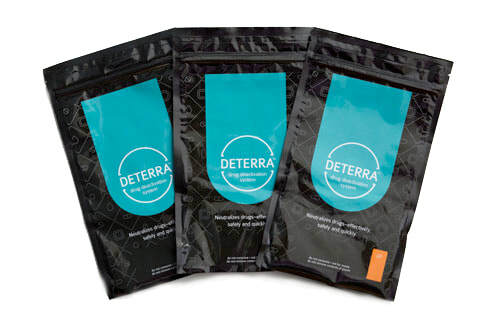 ​ your FREE Deterra Pouch today! 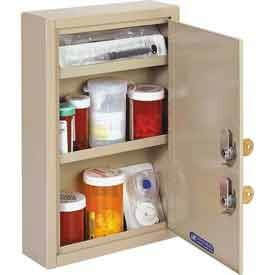 “Prescription Medicine Lockbox.” For your FREE Lockbox please contact (609)272-0100. The intent of the “HOPE ONE” mobile unit is to remove barriers for people in need of services and eliminate the stigma associated with seeking help. The mobile unit will be a caring, non-judgmental environment for any resident of Atlantic County. JTAC Underage Drinking PSA Winners! Over the past few months Join Together Atlantic County has been running an Under-Age Drinking PSA poster contest for middle school aged students across the county. The point of the contest was to send a message to parents from children about the dangers of under age drinking and providing alcohol to those under 21. Voting was difficult with over 100 submissions from all over the county. Eventually it was narrowed down to a top 8 submissions and then sent to active coalition members to vote on. The competition was tough with a 3 way tie for first place. There was a tie breaker vote between the 3 winners for places. Winners were awarded certificates and gift certificates to the Walk outlets in Atlantic City. The winning submission will also be featured on a billboard. JTAC wants to thank all the students who submitted to the contest, coalition members who voted, and everyone who supported this contest. Over 70lbs of unused, unwanted, or expired medications collected on March 28th from five different high rises in Atlantic City. Great work between ACPD, ACPO, JTAC and Assemblyman John Armato. The purpose behind the JTAC StoryCorps Project is to break the stigma surrounding addiction and recovery. The StoryCorps Project asks individuals to share their personal stories and experiences with addiction and recovery. The stories will be recorded and shared on the internet through JTAC social media pages. Through StoryCorps, the stories are also archived at the Library of Congress. One of the greatest barriers to individuals receiving treatment is the stigma surrounding addiction. By sharing our stories with each other we are working to normalize addiction and break the stigma. Addiction touches so many lives and by expressing ourselves through various art forms we can break down barriers and create a culture of acceptance on this campus. With Recovery Housing coming to Stockton University in fall of 2017, we need to start the dialogue surrounding this issue. The JTAC StoryCorps Project is a way to introduce this important topic to our community. To view "JTAC StoryCorps" please click on button below. ​Are you interested in sharing a story related to addiction, recovery, or stigma? Would you be willing to be interviewed by a Stockton Student? WHAT IS THIS? As part of a service learning project, Stockton University students asked people for their opinions of addiction. These opinions were written out on paper to be shown on a display placed on campus. Opinions could be positive,negative,pictures,stories,etc. The goal was to capture society's perception on addiction. The goal of this project was to reduce the stigma associated with addiction. You are able to view these stories by downloading link below. Please write "JTAC" in the "add special instruction" section on Paypal. Copyright © 2016 jtacnj.org - All rights reserved. Please write "JTAC" in memo section.